The Greater Bilby (Macrotis lagotis) is the largest of the bandicoots. At 1 to 2.4 kg, the male is about the same size as a rabbit; although male animals in good condition have been known to grow up to 3.7 kg in captivity. The female is smaller, and weighs around 0.8 to 1.1 kg. The Greater Bilby has an excellent sense of smell and sharp hearing. Its fur is blue-grey with patches of tan and it is very soft. The tail is black and white with a distinct crest. 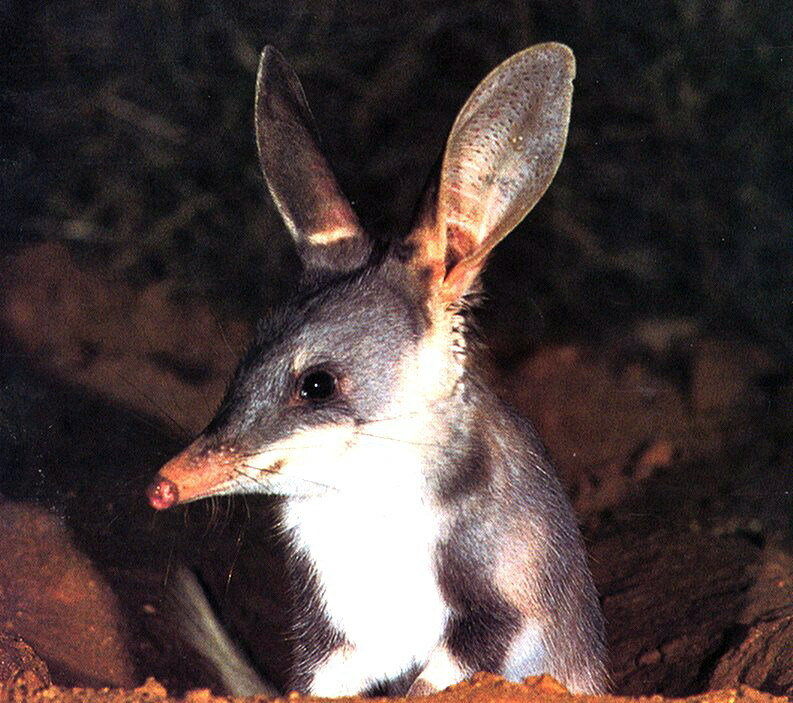 The Greater Bilby has strong forelimbs and thick claws, which it uses to dig for food and make burrows. Once widespread in arid, semi-arid and relatively fertile areas, the Greater Bilby is now restricted to arid wastelands and remains endangered. Feral cats are a major threat to the bilby's existence. The Greater Bilby is commonly known as just the Bilby, since the other bilby species (the Lesser Bilby) went extinct after 1932, probably around 1950. It is also known as the dalgyte in Western Australia and the pinkie in South Australia.